The Giver by Lois Lowry is one of the most eye-opening novels of our time. These materials help students to think about the ideas presented within the novel as well as synthesize their own definitions of "utopia." Materials included allow for freedom within your curriculum. You can choose from different handouts, organized by specific points in the book. 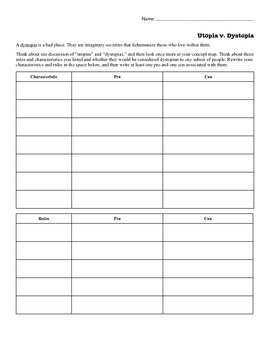 One string of handouts relate with one another, creating a small project that carries throughout the entire novel, allowing students to create their own utopias. 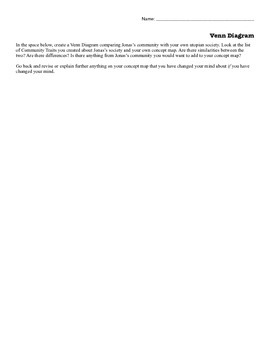 -- Handouts for 13 different activities, which can be used at various points throughout the novel. 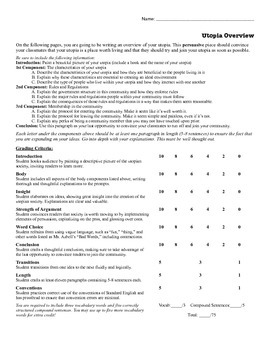 -- A 14 page "My Utopia" packet, which guides students in thinking about their own utopia. Looking for more material for The Giver? Check out the link below and save 20%! 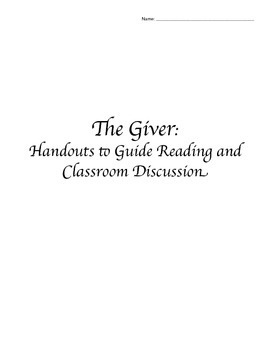 The Giver *BUNDLE*: Activities, Projects, Reading Guides, Vocabulary, & Handouts!.